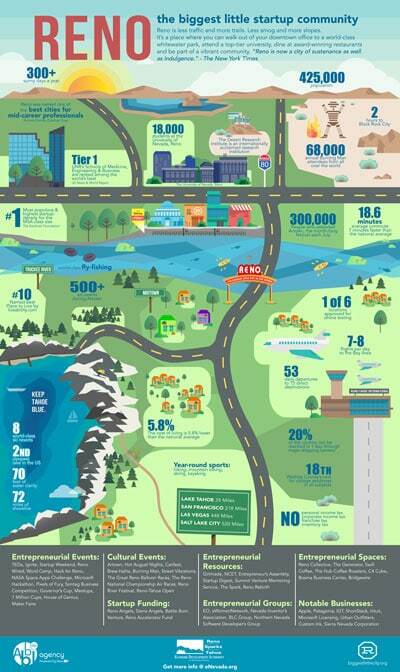 At RhinoHub, we specialize in creating information designs with a custom, authentic feel. 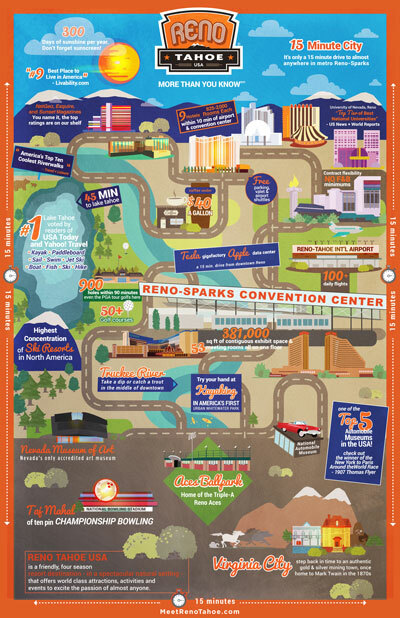 We created three infographics about Reno all in one year at RhinoHub: Reno-Sparks Convention and Visitors Authority (RSCVA), The Economic Development Authority of Western Nevada (EDAWN) and Regional Alliance for Downtown (RAD). As they say, when it rains, it pours.